The once-powerful Dean Skelos, former Republican majority leader of the New York State Senate, and his son Adam were found guilty on federal corruption charges on Tuesday after a month-long trial in federal court in Manhattan. Skelos and his son had been similarly found guilty on all charges in late-2015 but their convictions were vacated after a Supreme Court ruling changed the definition of public corruption, precipitating a retrial that began last month. Prosecutors charged Skelos with using his official position as leverage over companies that had business with the state, pressuring them to give his son more than $200,000 in payments. 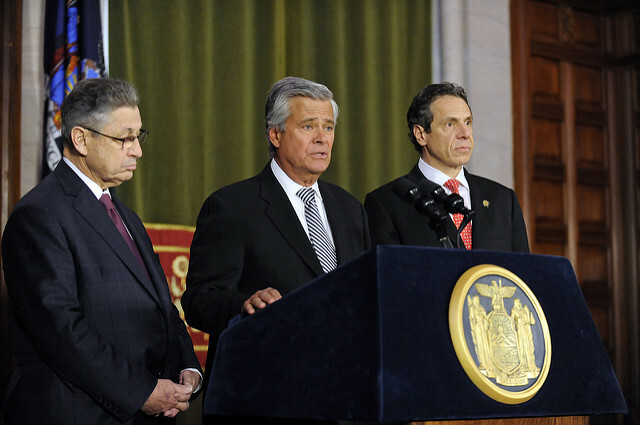 In turn, Skelos took actions to benefit those firms. 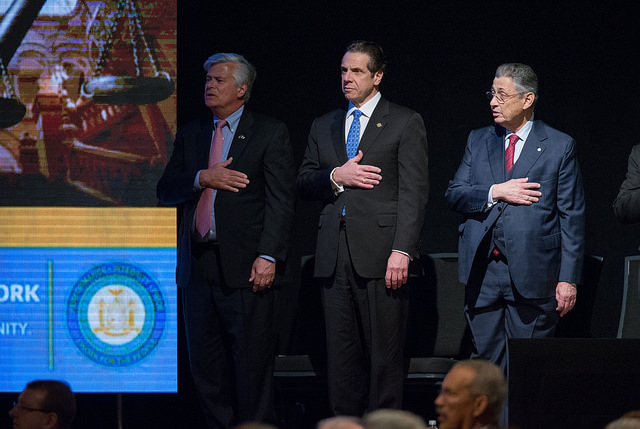 The Skelos verdict is just the latest in a series of corruption convictions that have rocked state government, the Legislature, and the executive branch. 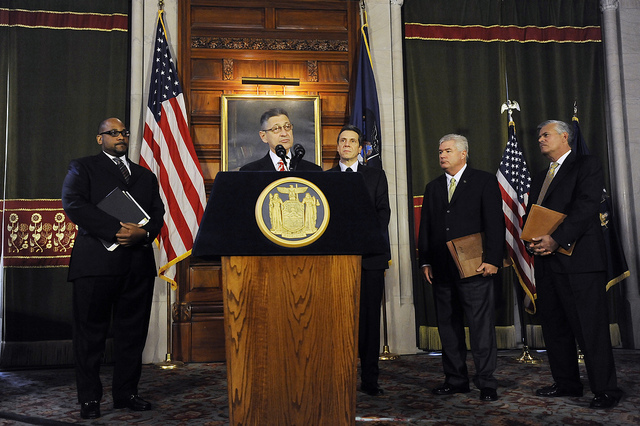 Just last week, Alain Kaloyeros, a prominent ally of Governor Andrew Cuomo, was found guilty of bid-rigging state contracts under the Buffalo Billion economic development program. In May, former Democratic state Assembly Speaker Sheldon Silver was similarly found guilty of misusing his office for personal gain (Silver faced a retrial just like Skelos). And in March, Joe Percoco, a former top aide and campaign manager to the governor, was also found guilty of federal corruption. Since the multiple scandals broke, state government has taken no significant action to alter the playing field on which Silver, Skelos, Percoco, Kaloyeros, and others committed their misdeeds. The polls may be closed but the heated race to replace convicted former Republican Senator Dean Skelos is far from over. 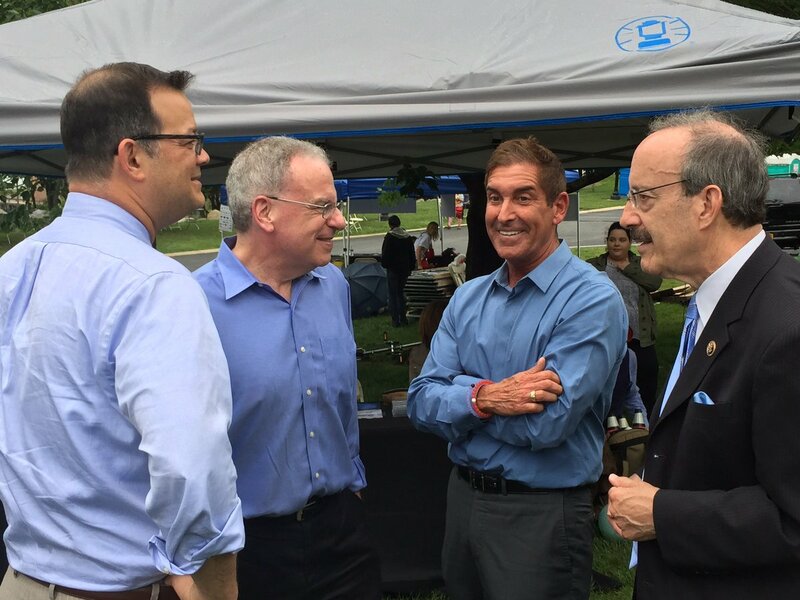 Late Tuesday night Assemblymember Todd Kaminsky, a Democrat, declared victory while Republican candidate Chris McGrath refused to concede, saying the race would be decided by absentee ballots. Only 780 votes separate Kaminsky from McGrath and there are over 2,000 outstanding ballots to be counted. Regardless of the results the pair may face off again in November when the seat will be up for grabs again. Despite the unresolved nature of the affair, good government groups and legislators who back major ethics reforms, have been buoyed by Kaminsky’s performance. A former federal prosecutor, Kaminsky ran with cleaning up government corruption at the top of his agenda. 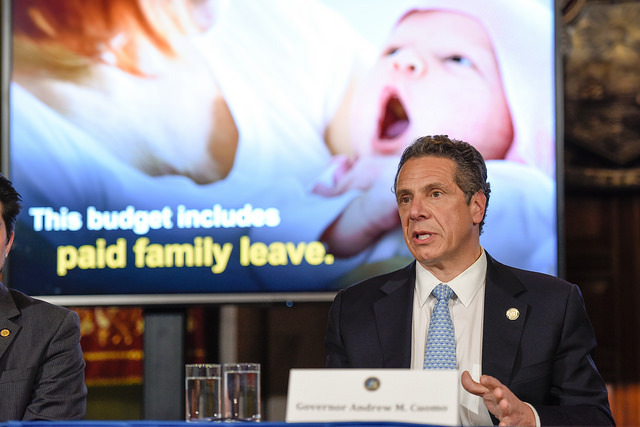 "Whatever the outcome, the race shows the power of the ethics reform message,” said Blair Horner, executive director of the non-partisan New York State Public Interest Research Group. “Continuing to ignore the public's demand for Albany to clean up its act will only lead to incumbents putting themselves in political peril." Kaminsky campaigned in part by condemning the culture that led to the convictions of Skelos and his counterpart, former Assembly Speaker Sheldon Silver, a Manhattan Democrat whose seat was also being filled Tuesday night. The Kaminsky campaign sought to tie his opponent to the disgraced Skelos. 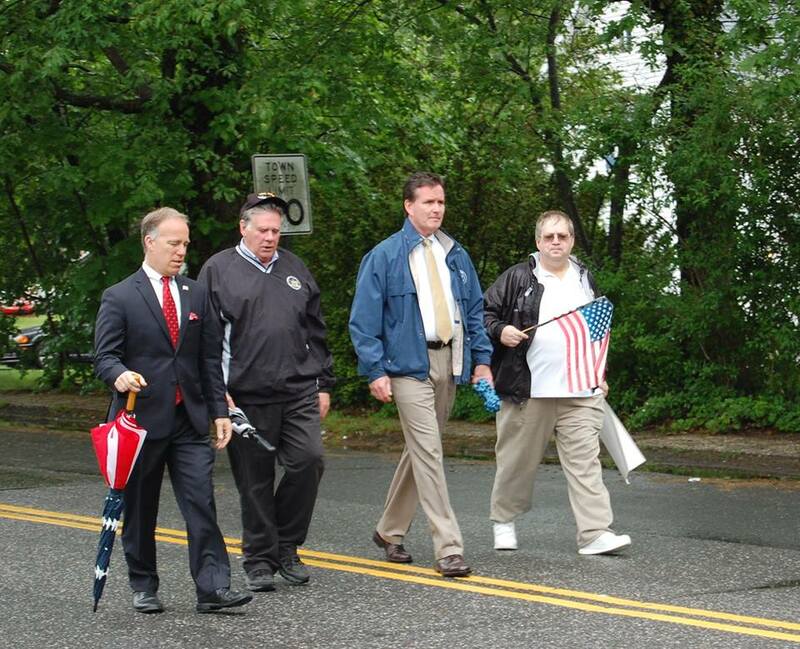 McGrath, on the other hand, remained silent on major reform initiatives and Skelos’ conviction. His campaign focused on tying Kaminsky to Mayor Bill de Blasio and a progressive agenda favoring New York City over Long Island. 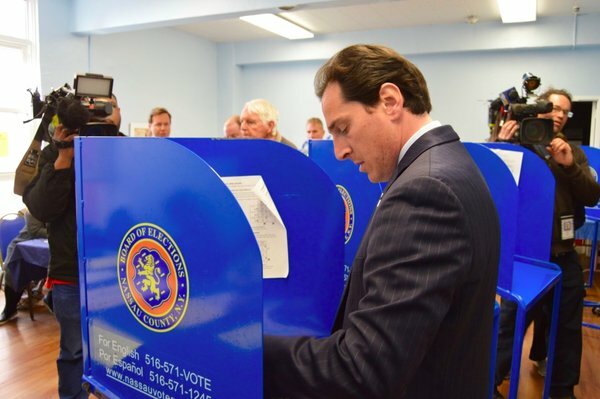 Nassau County, a former Republican stronghold, has seen a surge in Democratic voter registration over the past few years. 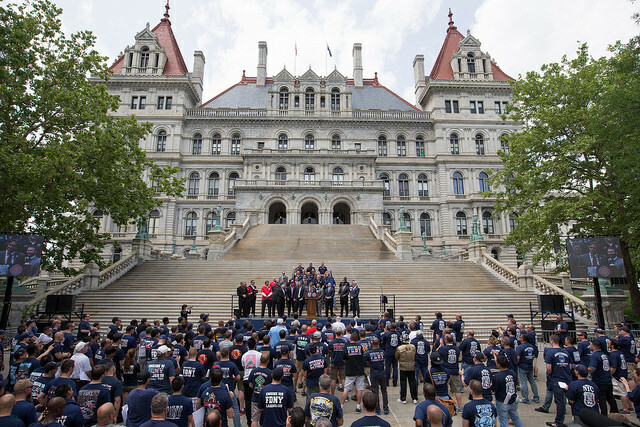 As ethics reform efforts have stalled in Albany even in the wake of the Skelos and Silver convictions, many have pointed to Senate Republicans’ limited support for enacting new laws to prevent and punish corruption. Some, however, say that even though Gov. 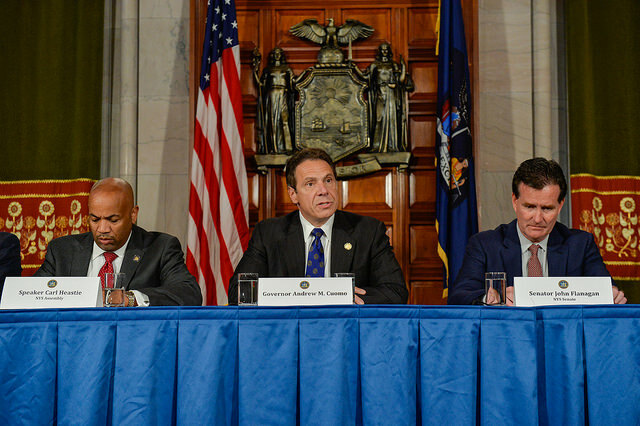 Andrew Cuomo and his fellow Democrats who control the Assembly have put forth more robust ethics reform platforms, lawmakers of both parties are largely disinterested in actually enacting them. Democratic control of the Senate would change the conversation. A long recount and/or lawsuit could prevent either Kaminsky or McGrath from being seated before November, but if Kaminsky does come out as a clear winner, Democrats will technically have the majority. In the 63-seat Senate, Republicans currently hold a majority through 31 elected Republicans and Democrat Simcha Felder, who caucuses with them. They have also partnered with the five-member Independent Democratic Conference to keep the majority in the past. Kaminsky has sought to make his election about both Long Island issues and reform, while pushing back against attacks tying him to de Blasio and even in some cases his role as someone who would shift control of the Senate. During an April 13 interview with Brian Lehrer of WNYC, Kaminsky stressed his work as a federal prosecutor under now U.S. Attorney General Loretta Lynch, where he said he took a bipartisan approach to prosecuting corruption and noted he spent two years on the prosecution of former Democratic Sen. Pedro Espada. “People are fed up. They’re absolutely sick of their government. They blame both parties. They know something stinks,” Kaminsky told Lehrer. When Lehrer asked Kaminsky if he was running for Democratic control of the Senate Kaminsky demurred. “I try not to look at it that way. I don't think anybody knows what happens. There certainly are a group of Democrats who caucus with Republicans. I try not to look at the chessboard,” Kaminsky said. Dadey said he sees Kaminsky as standing out from the party fray. Leaders of both the mainline Democrats and the IDC issued statements congratulating Kaminsky on his victory. The race may rank as one of the costliest senate contests in state history with the United Federation of Teachers spending heavily on independent expenditures for Kaminsky while McGrath was supported by a pro-charter school PAC that spent nearly $1 million. Government reform groups have struggled to get any traction this legislative session. 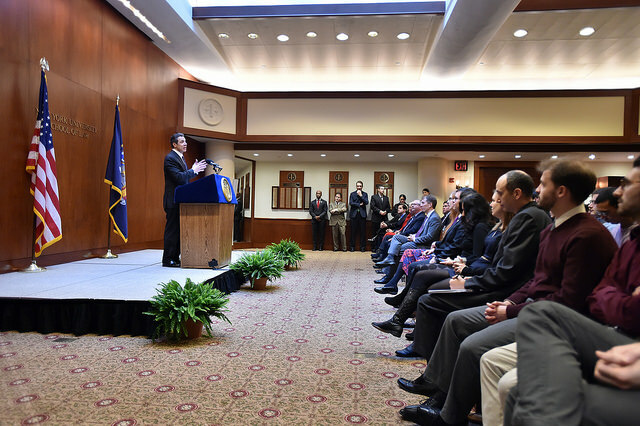 Cuomo’s ethics package, outlined during his January State of the State address, was quickly removed from budget negotiations and since then the Legislature and governor have been preoccupied by the presidential primary and the special elections. Many assume the Legislature is looking to run out the clock on the post-budget session and return to their districts to prep for the upcoming elections where all legislative seats will be up for grabs. Reformers hope that the special election results will force legislative leaders to take some action on ethics to prevent public backlash in November. The Manhattan special election to replace Silver would on its face seem not to hold any encouraging news for those looking for a repudiation of politics of usual. Silver’s chosen successor, Alice Cancel, won the race with just over 40 percent of the vote - her closest challenger, Working Families Party-backed Yuh-Line Niou won about 35 percent. However, reformers do see some bright spots in the results. “Sixty percent of those who voted, voted against the handpicked candidate of Sheldon Silver,” said Dadey. A Republican candidate, Lester Chang, got about 25 percent of the vote. Muzzio noted that Cancel’s victory was sealed when Silver’s allies helped her win the Democratic line. “People just aren't used to voting Working Families or Republican,” said Muzzio of the lower Manhattan district. Cancel will head into the fall election as the incumbent, but she is likely to face a number of challengers in the Democratic primary. Niou indicated in a post-election announcement that she plans to stay involved in the district and perhaps run again, and district leader Paul Newell announced Tuesday night that he plans to run in the primary. A number of other Democrats have expressed interest in the seat. Niou enjoyed the backing of a number of elected Democratic officials, some of whom expressed great distaste for how Silver supporters orchestrated Cancel’s candidacy. It isn’t clear if those same electeds will look to oust Cancel in the fall. But the fairly narrow margin of her victory combined with Kaminsky’s apparent victory have energized reformers and could lead to a larger push for ethics-minded candidates in the fall.